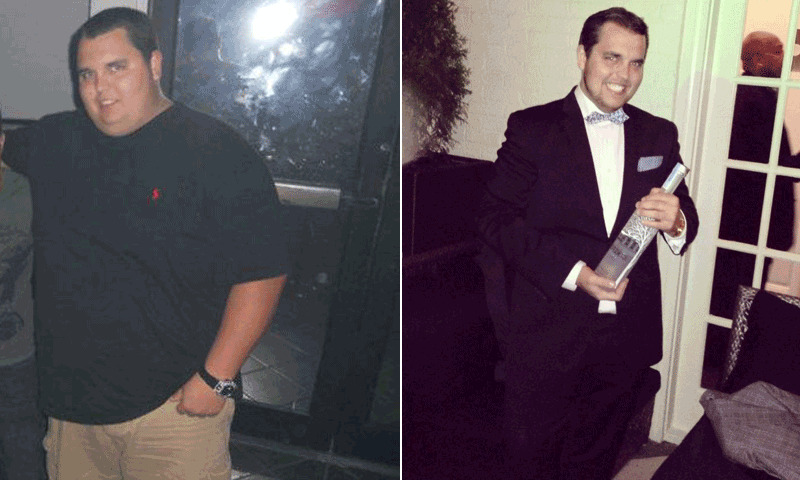 How I Gained It: After high school, I stopped working out, but I continued to eat. It got to the point where I was eating 7,500 calories a day and doing nothing. Sad moment in my life. I recall downing an entire pizza and still being hungry, and finding a way to justify why I wanted more. Breaking Point: I was walking to work from the parking garage, and I stopped into Häagen-Dazs. As I was leaving, I started to have bad chest pain. I knew that if I wanted to live to enjoy life, I needed to change everything in my life: from my friends to what I did. How I Lost It: I started out by getting my diet down. I tried working out, but my body was in such a shock. I mastered my own 2,000-calorie diet, and then I started to walk 30 minutes a day and do the elliptical. Let me tell you, it sucked! Today, I run every day. I also weight train every day, something I didn't do when I was larger. I have a weight-lifting partner and a regimen, which has helped me go through a lot of changes from fat to muscle, especially in my chest area. I still have a stomach. I think most of that is extra skin, which happens when you drop 200-plus pounds! Now, I eat when I'm hungry. I go to Whole Foods every day for lunch to make a salad at their salad bar. I cut out dairy completely. I snack on kale chips, almonds and apples. I have grown to acquire a taste for items I used to hate, such as asparagus, tomatoes and mushrooms. I have protein smoothies with bananas, blueberries, cacao powder and almond butter for breakfast, and for dinner I usually cook chicken or fish and a mixture of veggies. Everything in my life is different. The main thing is respect. I feel like I get more now because of how I look. My energy level is through the roof. I always said when I was big that my body didn't match my personality. I am proud to say that I think I'm close, and it's somewhat emotional to know what I have done. Sometimes, it does not seem real. There is a way, you can live your life and be happy, it's there for the taking. Current Weight: Currently, I am 210 pounds. My goal is 200, but it's so close that now I see 185 in my future!